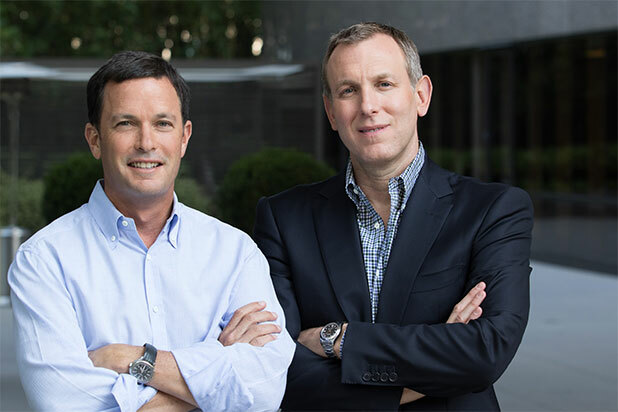 David Kramer and Jay Sures have been named co-president of United Talent Agency (UTA), UTA’s Board of Directors announced Wednesday. The pair became Managing Directors in 2010 and worked with CEO Jeremy Zimmer to grow UTA’s business. Over the past five years, the company has doubled in size to now include over 850 people globally, made major acquisitions in music, news and finance sectors, and recruited numerous agents and executives on both the creative and business sides. In 2017, UTA announced its equity stake in investment firm AGM Partners, a 20 percent expansion of its partner ranks, a roster of directors that represents half the year’s top-grossing film, and a decision to cancel its annual Oscar party to hold a “United Voices” rally that financially benefitted the ACLU and International Committee for Refugees. Kramer oversees UTA’s motion picture group which includes its literary, talent, independent film finance, media rights and production departments, and he also directs the agency’s comedy touring, licensing, endorsement and publishing arms. Sures oversees the agency’s television divisions, which includes UTA’s scripted and non-scripted groups, news and broadcasting, TV talent and speakers group. UTA’s client roster includes Anthony Anderson, Wes Anderson, Judd Apatow, Elizabeth Banks, Samantha Bee, Alec Berg, Anderson Cooper, Bryan Cranston, Benedict Cumberbatch, Lena Dunham, Will Ferrell, Harrison Ford, Jodie Foster, James Franco, James Gunn, Kevin Hart, Angelina Jolie, Chuck Lorre, Dr. Phil, Chris Pratt, Seth Rogen, Mark Ruffalo, Amy Schumer, Jill Soloway, Wanda Sykes, Jake Tapper and Channing Tatum. Protesters attend the Women's March Saturday in Park City, Utah, in the midst of the Sundance Film Festival. 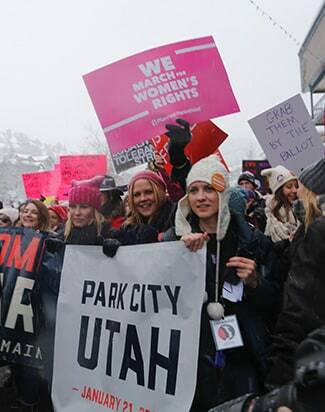 Chelsea Handler and Maria Bello spoke at the Women's March in Park City, Utah, on Saturday. John Legend was among the protesters at the Women's March in Park City. Charlize Theron joined the protesters at the Women's March. Protesters march down Main Street for the Women's March. Filmmaker Peter Bratt and his actor brother Benjamin Bratt address the crowd at the Women's March in Park City. A young protester at the Women's March in Park City. Maria Bello at the Women's March. Aisha Tyler speaks at the Sundance version of the Women's March. Connie Britton rallies the crowd at the Women's March in Park City. Protesters at the Sundance Women's March. Protesters at the Women's March. A protester at the Sundance Women's March. Charlize Theron snaps a selfie at the Sundance Women's March. Protesters at the Women's March in Park City. Protesters at the Women's March in Park City, Utah. The scene at the Sundance Women's March. Does WME-IMG’s $1 Billion Infusion Mean the Agency Is Tight on Cash?